Have you accidently deleted some important files from your Windows 10 computer? It’s a very common case when you delete important files along with useless files from your computer. In these cases, our minds stops working and things just became very irritating. Anyhow, the main point is if you delete important files, then you will be sad. (Below tutorial show you how to Recover Data in Windows 10 after deleting it permanently). This procedure works in both 32 bit windows 10 and 64 bit Windows 10. However, here in this post I am going to reveal a way to you on how you can easily recover deleted files from your Windows 10 computer. No matter which Windows Version you use, it can be an old windows xp computer or the new windows 10 Laptop the below method described here works with pretty much every computer you know. All you need to do is read this post carefully from the beginning to the end and then apply step by step what I have written here. For your assistance I have also included some great screenshot images which will surely guide you better through the entire process. Some without wasting more time, start reading the guide below. The accidently deleted files/data are still stored on a location of your computer’s hard drives. That’s why when we try to recover the then, we get them back in our laptops. Recovering deleted data is very easy all you need to do is download one file recovery software. I will prefer you to use Recuva, it’s one of the most popular free data recovery platform out there in the market. You can download the software and then use it to recover your deleted files in windows 10 personal computer or in Windows 10 Laptop. I know that many of you guys are newbies that’s why below you can check the step by step guide with images where I have shown you exactly what you need to do for recovering permanently deleted files. 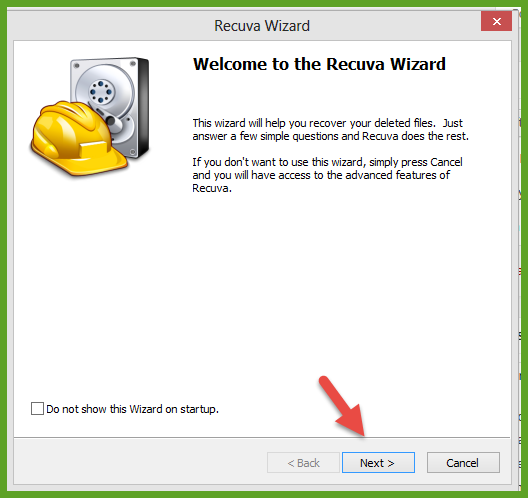 Download and install the Recuva Software form the link below. Step 2: Now install the software in your computer, the installation process will be as same as you install any other software in your computer. 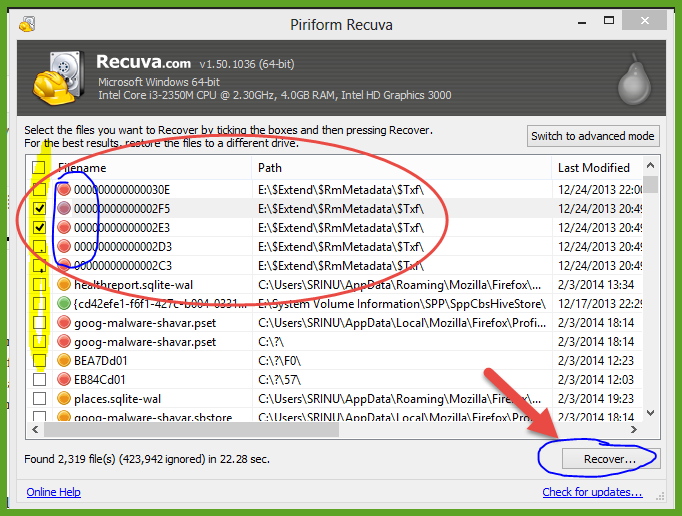 Step 3: Now open the Recuva software by clicking on the new recuva icon from your desktop which have just arrived there. Step 5: Now in the next screen you have to choose which type of file you want to recover. Here you should choose the file type which you have accidently deleted from your computer. Step 6: on the next screen you have to select the location where from your file had been deleted by you. After selecting, click on next. 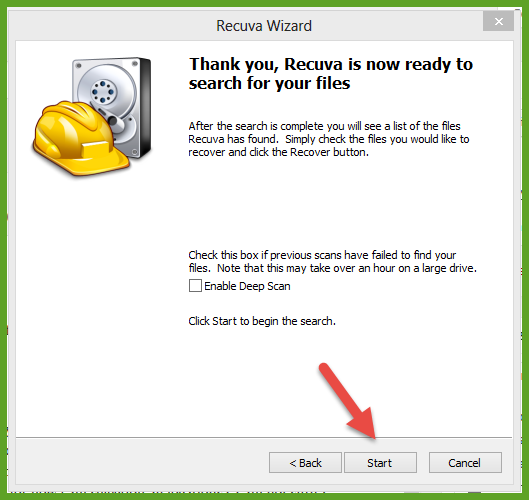 Step 7: Now you need to click on the Start button and recuva will now start scanning your computer for recently deleted files. Step 8: After the Scanning completes, you will see a new window with the results. You will see lots of results there, there will be all the files which you have deleted recently. 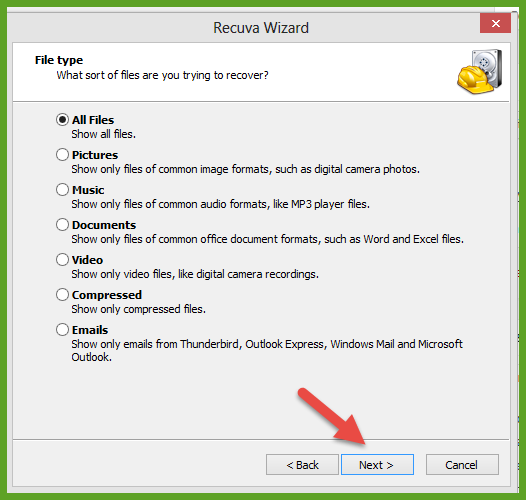 From that huge list, choose the file which you want to get back and click on recover button. 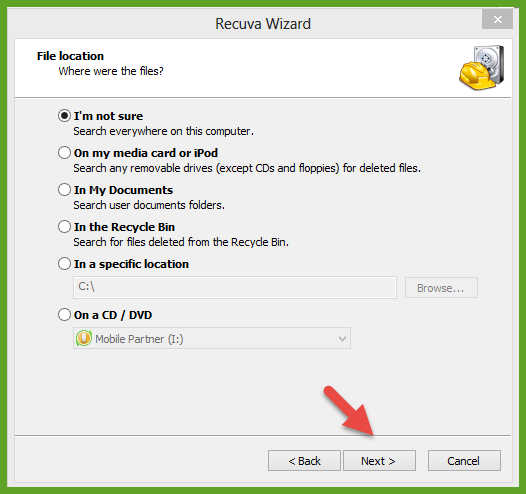 Step 9: You have to select the location where your file will be saved after recovering. There will be some colors on the files, for your guidance: a red mark means you can’t recover that file and a green mark means that file is surely recoverable. In case you see a yellow mark that means that file may got recovered. So, I have said already you can recover the deleted files from your computer. Before you go thought any step I would like to tell you that – “it’s not always possible to recover a deleted file, however, without trying we can’t tell anything. That’s why I will recommend you to at least apply the method once when any file is deleted from your computer. I think you will get what you have deleted. So that was the entire guide about how you can recover any shift deleted files from your computer. Have a great day ahead!